Posted on November 2, 2014 September 19, 2015 by Vicky LorasPosted in Fun Learning, lesson plans, Storytelling, teaching, teenagers, young learnersTagged education, Evridiki Dakos, fun, games, Larissa Teachers Association, learning, lesson plans, story cubes, storytelling, Twitter, young learners. Nice one Vicky. I love story dice, as you can imagine. Klett in Germany have a good book of pull out dice templates. Thanks so much for sharing that, Andy – I did not know that book! It looks super! Some wonderful ideas for teaching learners the possibility of story telling using cubes as prompts. I could use them for my elementary class of adult learners as well. Thanks, Martin! I was rather hesitant at first to use them with adults, but they really love them! Thank you Vicky for sharing your thoughts. Thank you for reblogging and sharing, Halina! You might be interested to know that there is an app version of Rory’s Story Cubes: https://www.storycubes.com/apps. Oh, I love this idea! This would be so useful in classes where kids have never previously been encouraged to be creative in their writing. And in low resource schools we could create our own themes, draw the pictures and make our own cubes. Fabulous! Thank you so much for your comment, Clive! Was it in Graham Stanley’s session that you first saw the dice being used? I’d seen it before in a live workshop but Graham shared this neat idea of passing the dice around and letting Ss take pictures of them with their phones. So, you end up with lots of different permutations and stories – and no one hogs the dice. I teach Spanish and I’ve had the StoryDice app on my ipad for a long time. This post is a nice reminder to use it again. Thanks! Great, Cynthia! One of the great things about them – that they can be used in any language – and any age, I’ve seen! Δεν διαβάζω. Όχι τώρα τουλάχιστον. Αρνούμαι να κάνω οτιδήποτε, πόσο μάλλον να διαβάσω Αγγλικά. 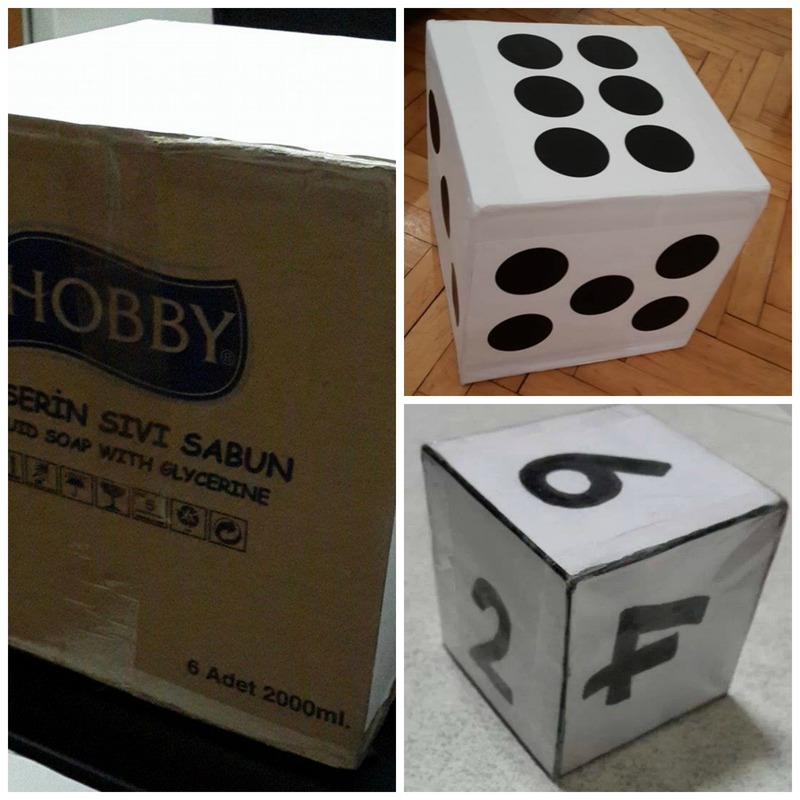 Είδα όμως τα story cubes και χάρηκα! Έχω “τα πράσινα” και “τα μπλε”. Έχουν κάνει ΘΡΑΥΣΗ με παιδιά Δ’ και Ε’ τάξεων. Θεωρώ πως θα κάνουν θραύση και με μικρότερα, αλλά φέτος… με τα μωρά πάλι… δεν τα ‘χω δοκιμάσει ακόμα. Πόσο χαίρομαι που ξανασυναντιόμαστε,έστω και διαδικτυακά! Χαίρομαι τόσο όταν βλέπω τα παιδιά καταενθουσιασμένα με τους κύβους και χαίρομαι που τους έχεις κι εσύ! I have three sets of story cubes that I bought last time I was home, but I have been thinking – most of my students have vocabulary lists (for better or worse) that they have to learn with every unit. And they could draw their interpretation of six of the words on the template you shared and use those to tell stories. It would be a great way of working with vocabulary and putting it into some kind of context. Thanks for all the other ideas. My high schoolers loved story cubes and now I’m brave enough to try them with lower levels as well. That’s a great idea, Anne – both to help them study what they have to and vocabulary they can really use and keep with them! Thank you for sharing your teaching ideas! This is a great tool! 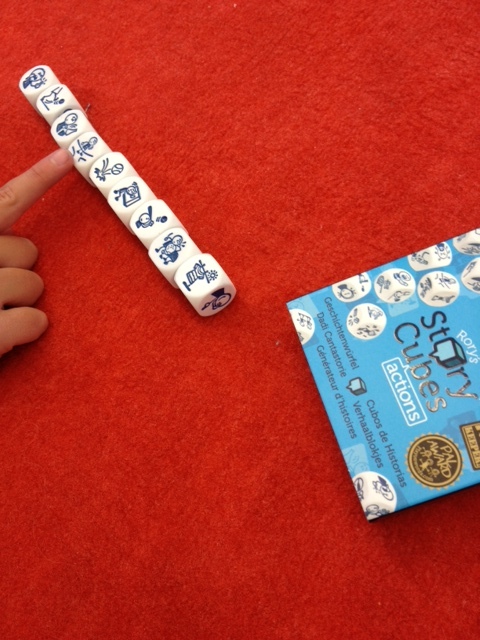 Story cubes like this will help children learn better and improve their language retention. There are so many funny things that you can do with the cube and they won’t be silly at all because they can do so much for grammar and vocabulary. Hope that all the kids will continue to learn more and more with this. Thanks for sharing!